Students celebrate at Admitted Spartans Day by holding up banners with their intended graduation year. The start of the new academic year is a special time – for students and faculty alike – full of hope and promise and excitement mixed with a little apprehension and nervousness. For the 2015-16 academic year, Stacy Gleixner, interim AVP for Student Academic Success, and Amy Strage, AVP for Faculty Development and director of the Center for Faculty Development, will be initiating an ongoing email series that will feature regular “Faculty Matter” teaching tips. 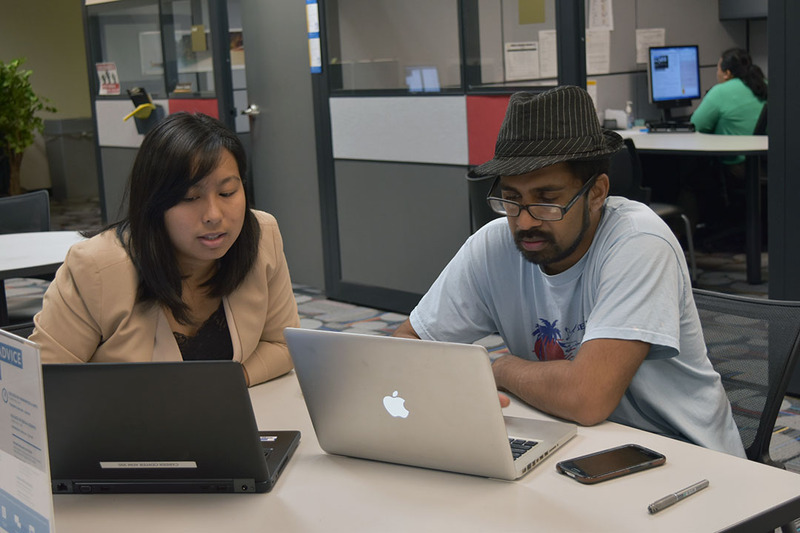 As part of SJSU’s Four Pillars of Student Success, the pair is hoping to provide proven concrete suggestions of relatively easy-to-implement activities that will help faculty engage students and support their success. Faculty may feel free to adopt these as is, or to modify them to better suit needs or context in each course. These tips will be archived on the Provost’s Academic Spotlight blog under the category “Faculty Matter”. Faculty are encouraged to use the comment tool to share their own suggestions and tips. Faculty Matter Tip #1 – Reach out to your students BEFORE the first day of class. Send your students a brief email introducing yourself, conveying your enthusiasm about the course and about meeting them. You can send your message through your class roster on MySJSU or through Canvas. Consider giving them a very simple assignment – a question to think about, an artifact to bring to class, something related to the course content that will “prime the pump” for whatever topic(s) you want to discuss at the first class meeting. Remember to follow up on what you asked them to do: have them share their answers/what they brought. If the class is large, students can share in small groups, with a few volunteers reporting out to the entire class. 2015 graduates enter Spartan Stadium for Commencement. As provost, I am inspired by the pride I see in the eyes of our graduates as they don their caps and gowns each May. This month, we celebrate the dedication of our students, having attained their degrees with support from family, friends and our campus community. We will honor 9,861 undergraduate and graduate students at Commencement on May 28. When they leave SJSU, they will be well prepared to become leaders in Silicon Valley and beyond while remaining an important part of the Spartan community as alumni. While we celebrate so many Spartans obtaining their degrees, I am especially pleased that our campus ends the year with a comprehensive plan to support future graduates. 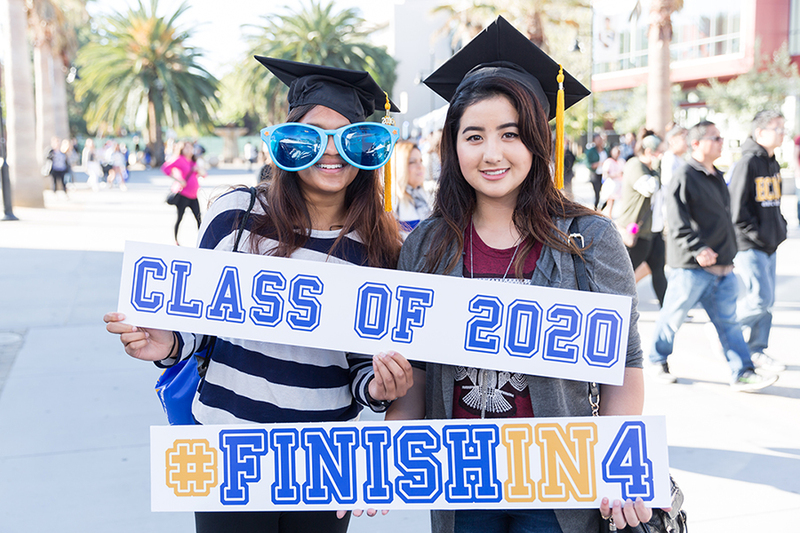 SJSU’s Four Pillars of Student Success: College Readiness, Advising, Student Engagement and Clearing Bottlenecks is available online. For the past year, I have worked closely with Vice President for Student Affairs Reggie Blaylock to develop this plan. We have collaborated and gathered information from faculty, staff, students and other experts to develop a data-driven campus-wide student success strategy with one goal: to significantly increase our retention and graduation rates for all students while improving the quality of their educational experience. Our 57 percent six-year and 10 percent four-year graduation rates, and a double-digit underrepresented minority student graduation rate gap are not acceptable. We owe it to our students, their families, taxpayers, employers and our community to improve. As we end the semester, I am pleased to highlight examples from each of our four pillars: an outreach program for middle and high school students; a scholarship program that provides mentors to graduate students; events that highlight student research, scholarship and creative activity (RSCA); advising centers embedded in each college; and a grant that is redesigning the way we teach lower-division STEM classes. I wish you all a wonderful summer and I look forward to working with you to enhance the success of every San Jose State student. College student success centers provide general education advisement and other resources for students. Here, Career Center Advisor Lynn Chang discusses potential career paths with Raghev Srivastava, ’15 Philosophy. Gisela Gray-Peoples joined the College of Humanities and the Arts Student Success Center as interim director a year ago, but she has been involved in student advising for years, first as an advisor in Academic Advising and Retention Services and later while teaching what she refers to as “academic bootcamps,” Science 2 and 90T. She said she likes the college-based success center approach. The success centers were supported by the Academic Affairs Educational Excellence and Student Experience priority group work from 2014-16 and will be integral to supporting SJSU’s Four Pillars of Student Success advising pillar. In the fall 2015 semester, H&A’s Student Success Center had 2,131 visits with students and Gray-Peoples said the word is still getting out about the one-year old center. “We can help them to get their questions answered and connect to resources,” she said. The staff comprises two full-time advisors, a part-time advisor and three student peer advisors who provide general education advising with referrals to other places on campus for questions outside their expertise. The space also provides support for faculty members, Gray-Peoples said, noting that she recently hosted a “Graduation 101” session for faculty advisors. H&A faculty members heard from representatives in the registrar’s office about the steps students need to take to apply for graduation, and how to submit major and substitution forms. Gray-Peoples said the center staff members are working on marketing their services to all H&A students and plan to have more workshops on different subjects in the fall semester. For the past year, we have collaborated and gathered information from faculty, staff, students and other experts, to develop a data-driven campus-wide student success strategy with one goal: to significantly increase our retention and graduation rates for all students while improving the quality of their educational experience. Our 57 percent six-year and 10 percent four-year graduation rates, and a double digit underrepresented minority student graduation rate gap are not acceptable. We owe it to our students, their families, taxpayers, employers and our community to improve. We have developed a plan to accomplish this. 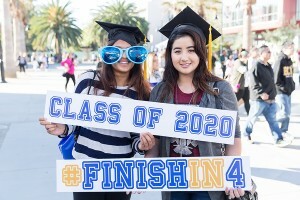 We encourage you to review “SJSU’s Four Pillars of Student Success: College Readiness, Advising, Student Engagement and Clearing Bottlenecks,” which highlights our process in developing the plan and details of each pillar. Public universities across the nation are striving to improve graduation rates, and provide an educated workforce. It’s a huge challenge, and now, SJSU is on the road to a meaningful solution on our campus. 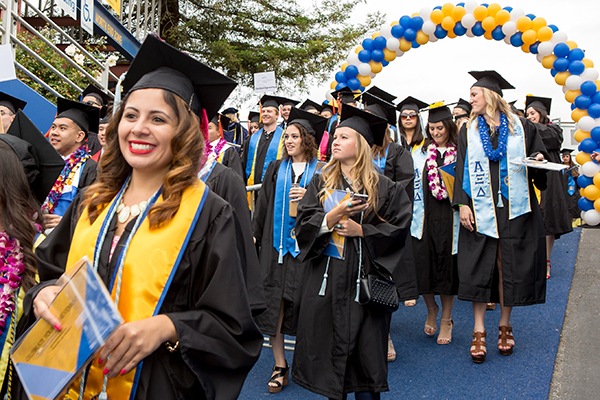 We look forward to working with you to enhance the success of every SJSU student.